A miscellaneous game named Nightmare Tower on www.bestgames.pk will bring you great joy. As a brave knight, you’re appointed to save the king’s ten daughters. The evil guy took them to his town. Use left/right arrow keys or mouse movement to move and Down arrow key or left click to dash. Kill the monsters you met to earn money. Remember to upgrade your arms with the money. Come on! Let’s start! Rapunzel had such a great time with her prince in the tower that she forgot to clean up. Please help her to clean up all the rooms in the tower before mother Gothel comes back and finds out the truth. Play free game Tower Of Heaven on bestgames.pk. In this game Mini Hero Tower of Sages, thousands apply to train at the tower of Sages. Only a few are ever chosen. But all dream of training Titans. This is a story of one who was chosen. On the bottom left screen, you will see the directions. According to the directions, you must make the right choice. Challenge the game now! Wish you good luck with a harvest! This adventure game is provided by www.bestgames.pk. 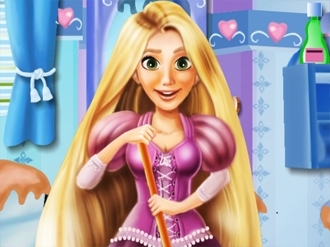 An updated version of Azalea's fantastic Rapunzel dress-up game. It's the same beautiful Art Nouveu style drawings, with gorgeous long hairstyles that allow you to create many characters besides Rapunzel - if you so wish! But this version has more types of skirts and a lot of extras that you can drag and drop. The extras can be used to adorn the clothes, added to her hair or, if you have time and imagination, make a new piece of clothing.